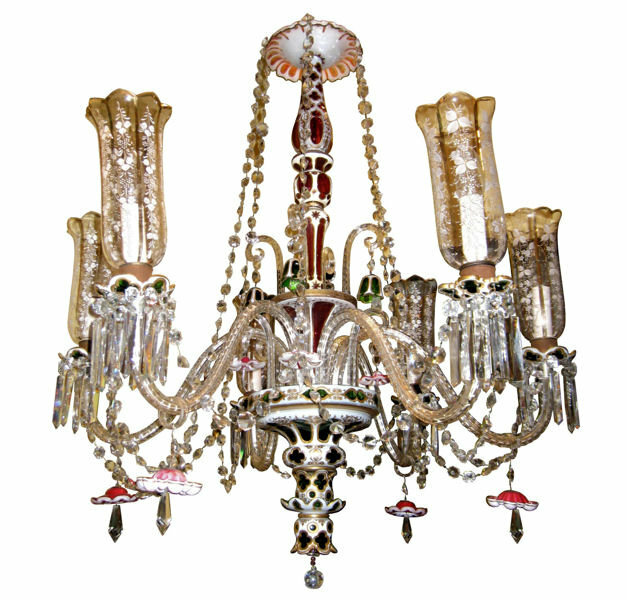 This extraordinary Bohemian glass chandelier features six electrified candle arms with clear glass hurricane shades with gilded decoration, a center stem with cased glass sections and glass bell flowers. 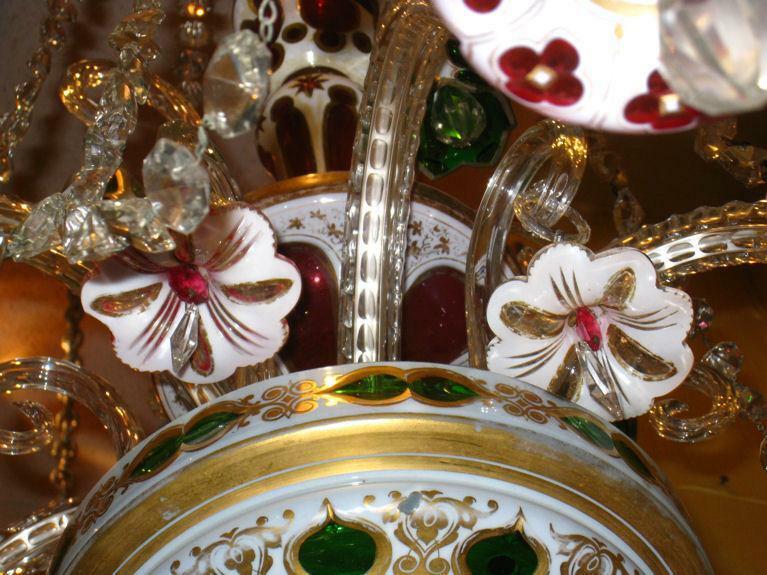 Stem includes sections which are opaque white glass cut to green, and white glass cut to ruby red. 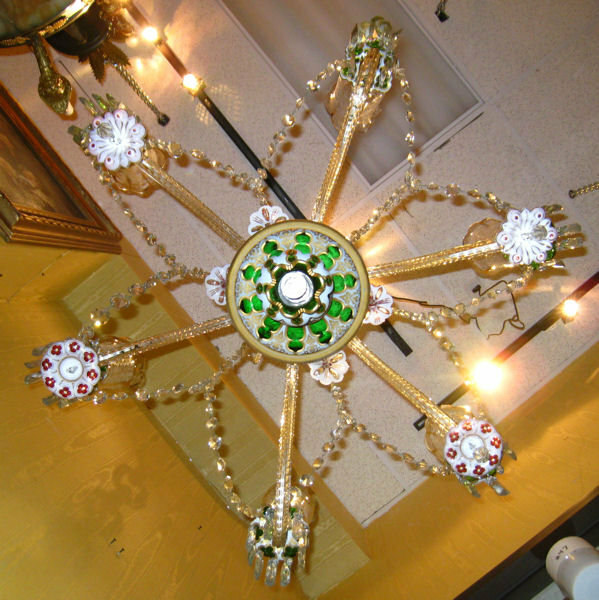 Wired for use in the U.S. Good condition. 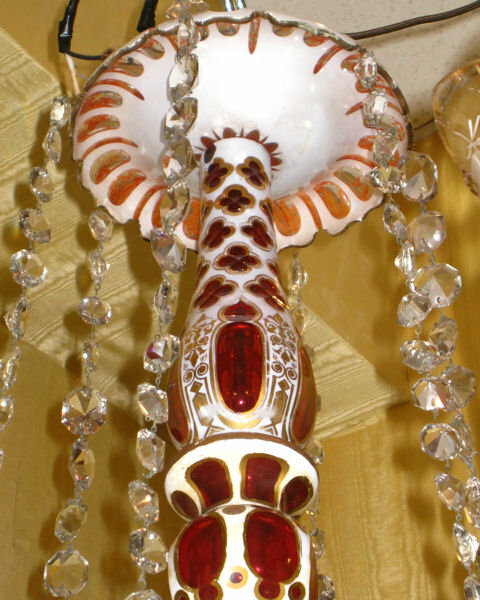 This fixture will compliment a wide range of decors, particularly Italian Venetian and Ottoman settings. 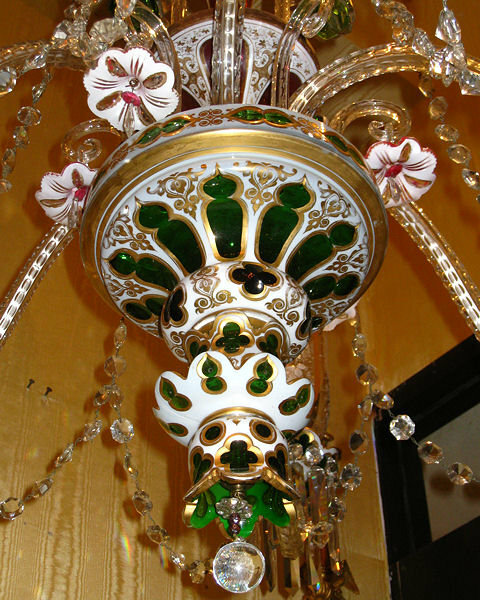 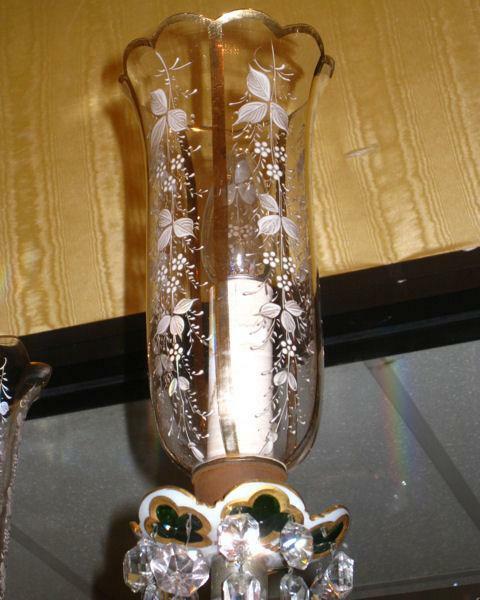 Items Similar To "Antique Bohemian White Ruby and Green Overlay Glass Chandelier"